Order your quality photoprint of "Killer Whale Boat Traffic Northern Vancouver Island" now! 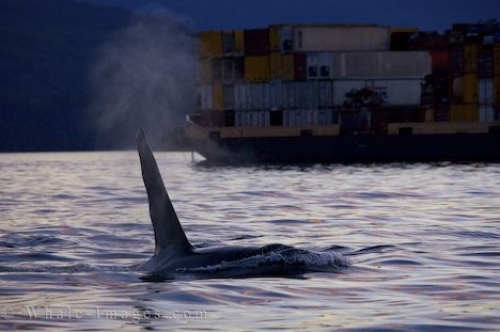 Photo of a male Killer Whale swimming near a fully loaded barge, daily boat traffic off Northern Vancouver Island. "Killer Whale Boat Traffic Northern Vancouver Island" photoprint!